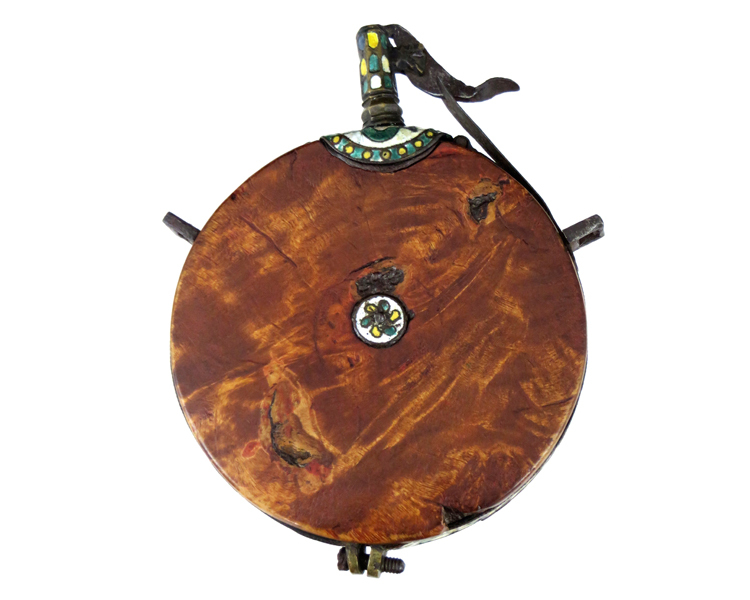 Russian Powder Flask, second half 17th c.
Hemispherical powder flask with Circasian burl-wood body and enameled mounts. This type of decoration is found on extremely rare 17th century Russian snaphaunce pistols, none of which are known to be in private hands. Excellent condition throughout. A Rare example of it’s type.